Cash is critical to every business. At some point every small business runs into cashflow problems. For start-ups, no matter how great your business proposition - your plans need to bring your business into positive cashflow before your initial startup cash runs out. Accurate cashflow forecasts are an essential part of your initial planning and ongoing business management. For established businesses it may be a seasonal dip in sales - you've had a great Christmas but are now facing a January slump, while the invoices for all the stock you built up now need paying. It can even be caused by a massively successful growth strategy - sales may be through the roof but filling those orders is burning through your cash faster than the invoices are getting paid. Identify any future cash shortfalls so that you can build up cash reserves today, or put in place the short term funding you'll need before things pick up. Plot steady, sustainable business growth and to avoid the dangers of over-trading. Anticipate periods where you'll have a cash surplus, so that you can identify opportunities to invest that cash and grow your business. Raise new funding - cashflow forecasts are an essential part of the business plan that lenders or investors will expect. You benefit from a future view into your business finances - helping you identify cash flow problems before they materialize and allows you to make informed business decisions. Forecasting cashflow involves understanding all of the cash inflows and outflows of your business, so that you can accurately model them. They usually look ahead for a period from 3 months to a year. The rest of this guide talks you through the steps involved. The first step is to model your sales in monthly or fortnightly time periods. For the initial period you may have a clear picture of your sales pipeline, so that your using known or highly certain estimates. For later periods you'll have to estimate. This is usually based on your recent trading history and assumptions about how you think sales will grow or decline. If your sales are seasonal then your estimates should take this into account. You should also include the estimated impact of any business plans or other internal factors - e.g. a new marketing push, planned changes to pricing strategy, a slump because a key member of sales staff is expected to retire. Results will be more accurate if you separately estimate sales volume and price level, rather than directly modelling turnover. Results may be even more accurate if you break your estimate of sales volume out into forecast sales leads (or customer footfall) and conversion rates. If you have a mix of different products, try to model each separately. 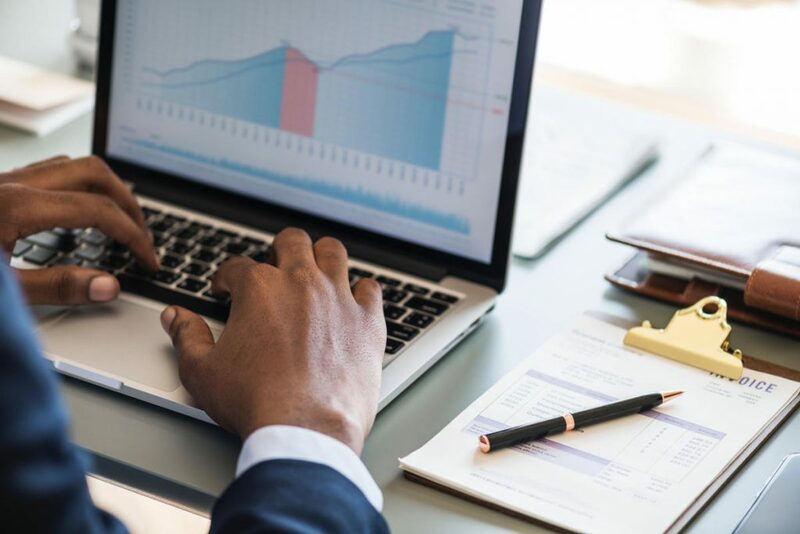 Newer businesses - without an established trading history, should base their estimates on market research and industry reports, as well as the experience of professional advisers or business mentors. Unless you only sell on a cash basis, your estimated sales will be different from your cashflows. In this step you estimate when the sales from step 1 will be received as cash. For example if you always offer 30 day credit terms (and your customers always pay on time), you should offset your sales from step 1 by 1 month. If you have multiple credit terms, you should estimate what percentage of sales are made on each basis, and adjust your model accordingly. As well as taking into account different credit terms on different products or services (where relevant). You should also take into account the typical behavior of your customers, not the contractual credit terms. If customers often pay late, adjust the timings accordingly. And if you have a history of writing off bad debts, you should factor in an appropriate discount. The starting point for estimating your variable costs is your estimated sales volumes from step 1. The best approach is to take your current variable costs divided by sales volumes and multiply this "unit cost" by your estimated sales volume. Stock holding periods - how long on average finished goods are in stock before they are sold. Cash outflows should be brought forward based on this estimate. Manufacturing businesses should also estimate the estimated length of a production cycle - since raw materials are bought in advance before finished goods are in stock. Again - cash outflows should be brought forward based on this estimate. Supplier credit terms - if goods are purchased on credit then the cash outflows should be moved forward for the length of the credit term. As in previous steps - the more you break things down into component costs the more accurate your cashflow forecasts will be. By their nature, overheads are more predictable so easier to model than previous steps. It's important to consider all fixed costs - examples include rent, lease payments, staff salaries and benefits (although bonuses / commissions or any other type of performance related pay should be considered variable costs). Even though they are fixed costs, for longer term forecasts you should allow for overall changes in business scale - e.g. salary costs should be increased if you're expecting high growth to result in taking on new staff. Next add in any interest and capital repayments on all your finance arrangements. The final step is to consider future capital expenditure. Existing assets will eventually need to be replaced, repaired or upgraded, and new assets will need to be brought into the business to improve capacity and capability. Modelling this accurately may involve researching the typical lifetime and maintenance / repair costs of your existing assets; and may involve asking specialists or peers in your industry. By following the previous steps you've modeled each of your cash inflows and outflows, at a monthly or fortnightly granularity. All that remains is to calculate your cash balance at each stage. Start with your current cash balance, and add the cash inflows and deduct cash outflows from the first period to find your closing cash balance. This becomes the opening cash balance for the next period. By repeating this process you complete your forecast and know your cash balance for each period you've forecast. If this amount is positive, then you're running a cash surplus. If its negative then you need to check it's within your existing short term finance facilities - for most businesses this means checking it's within your overdraft limit. If you're due to exceed this limit then the sooner you take action the more options are available to you. It's important that cashflow forecasting is an ongoing process. Forecasts change according to trading conditions, business activity and market trends. In order to remain relevant to your business, they must be adjusted and updated on a regular basis. The process of updating your forecasts also allows you to investigate differences between what was forecast and what actually happened. This lets you improve the accuracy of your forecast over time, and greatly increases its usefulness to your business. Your cashflow forecast has more use than simply warning you about times when cash could be tight. It can be a key part of your business planning. Put the additional outlay into your forecasts to see if you can afford the upfront cost; or need to put in place additional funding. Add in the additional revenue you expect to receive on an ongoing basis to see the overall effect on your business. If your plans make sense, you're also one step ahead in putting together a business plan for any new funding you need. Identifying your key assumptions - those which have the greatest uncertainty and to which the forecast is most sensitive. Determining a plausible range of values for those key assumptions. Preparing additional forecasts where one or more of those key assumptions have been "flexed" to the end downside of their range. By considering alternative, worst case, outcomes you can make an informed decision about managing your risk - e.g. by putting in place additional funding (beyond that required by the original forecast) to allow headroom. Accurate modelling of cashflows is critical to steady, sustainable business growth. But it can be a complex process - with 10+ years experience in financial modelling of complex derivatives, we're ideally placed to help. Why not contact us to find out more?